the friday files: Nailed it. Right now Nails and Nail Art have never been so popular. I'm not talking about the square plastic manicured nails beloved by archetypal Essex girls. 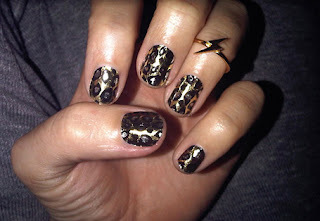 Creative nails designs have caught on big time recently, especially amongst celebrities. This fashion trend has been eagerly adopted by the high street and onto the fingertips of the general public. I myself have become more and more obsessed with glamming up my nails. My addiction started when I first heard about the 'crackle' affect polishes that were about. I LOVED this polish, it gave a different effect every-time and put over a soft gold or brown gave a leopard print design which was extremely cool! 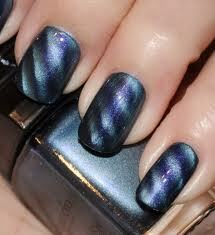 I then heard about Minx which are a special type of nail covering. They are not painted on but instead more like foil transfers. The only downsides of them is that they last only a week or two at the most and are pretty pricey. If you have them done on your toenails, they last longer - about a month. So unless your Miss Moneybags (which sadly being a student I'm not) these are really only for special events, costing around £20-£30 a go. The fashion and beauty trends at the moment are going crazy for metallics. And damn right it's nearly Christmas everyone needs a little sparkle. Nothing special about that I hear you say? Wrong! 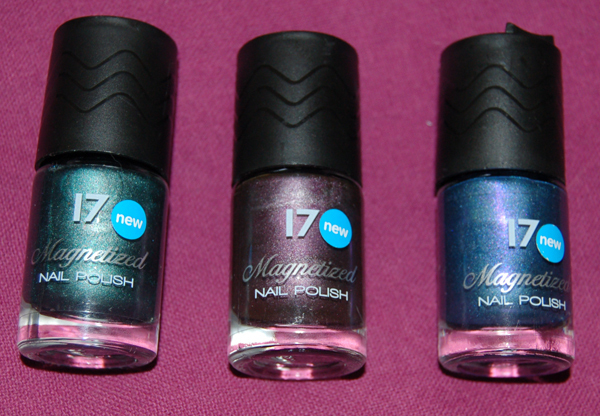 These are Magnetized Nail Polishes. The polish contains very fine metal particles so when you have applied the polish and it's still wet you hover the cap over your nail and the magnet inside the lid creates an amazing holographic effect. I absolutely love them, and seem perfect for this time of year. With fireworks night just gone and Xmas and New Years coming up these are defintiely going to be my ultimate accessory.